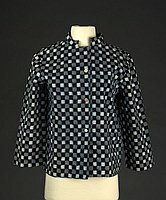 1 kasuri jacket : cotton ; 22 x 23 in. 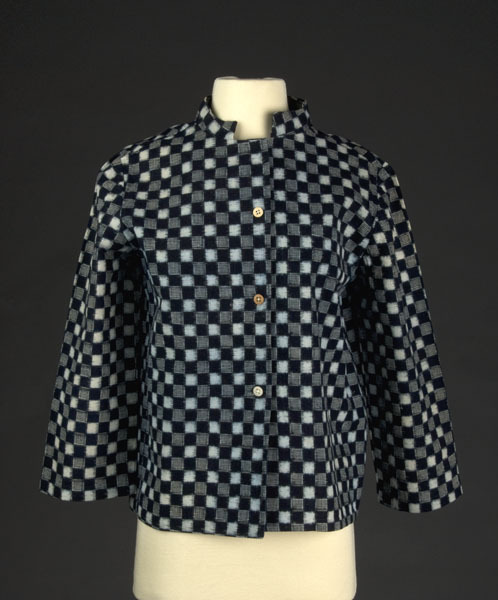 Indigo blue check pattern jacket with bone button closure at mandarin collar. 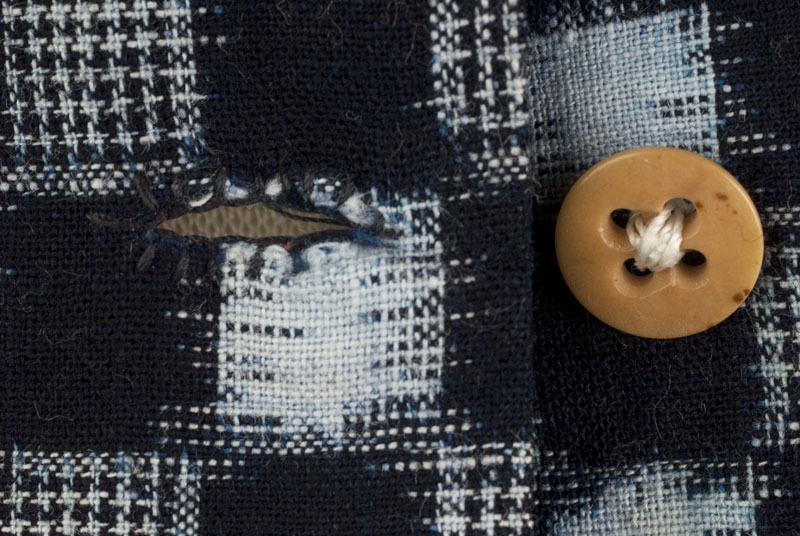 Complicated Kurume gasuri pattern alternates between dark indigo blue squares,squares with tiny herringbone pattern, and natural color (slightly blue-maybe die bleeding) squares. Plain set-in sleeves and no cuffs. Three unmatching buttons on proper front left side, bone button on top and one plastic. Kurume gasuri, famous kasuri 100% cotton fabric similar to Okinawa cloth. 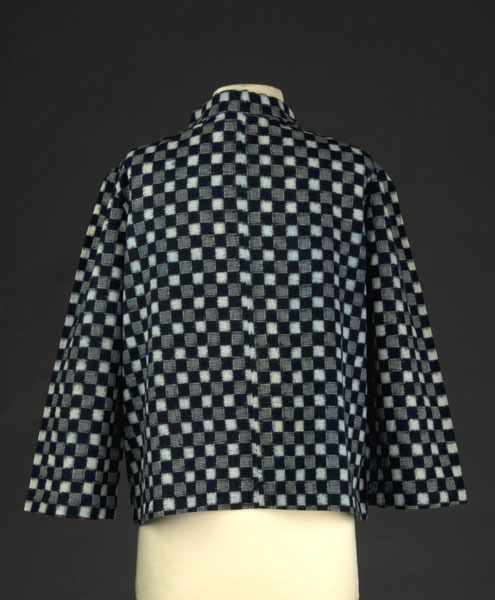 Mother-in-law gave kimono to Alice Kuroiwa Schwartz, which she refashioned into a jacket and wore at work from 1930's onward at Puhi Plantation on Kauai.